As part of our ongoing development of stainless steel cabinet fittings, we introduced this ¼ turn IP65 wing knob with padlocking facility. We think it is great for external/ offshore/washdown situations where the added security of one or two padlocks is required. Design of the U429-01PH enables use of a variety of padlock styles with 4.5mm to 7.5mm dia shackle and 7.5mm to 10.00mm shackle, or both. 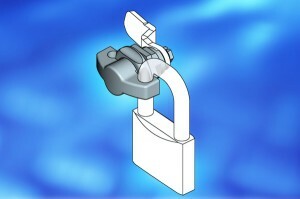 Share the post "IP 65 stainless wingknob takes 2 padlocks"